Enjoy modern accommodations at this two-diamond AAA-rated Houston hotel, located just 15 miles from downtown Houston. Ideally located on Interstate 45 North, the Best Western Greenspoint Inn & Suites provides comfortable accommodations for business and leisure travelers to the area. This Best Western hotel offers easy access to Sam Houston Race Park, Houston Museum of Natural History, University of Houston, Port of Houston, NASA Space Center, Houston Intercontinental Airport and William Hobby Airport. 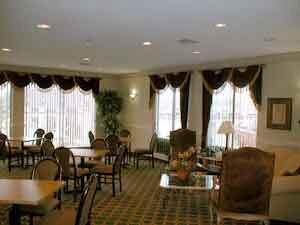 Located adjacent to Cracker Barrel Restaurant and other dining facilities, guests to this hotel will find numerous attractions within a short distance. Each spacious, well-appointed room is fully equipped with complimentary high-speed Internet access, cable satellite television with HBO? ?, ample desk space, microwave, refrigerator, coffee/tea maker, iron/ironing board, hairdryer, and radio alarm clocks. Every morning guests to this Houston hotel are greeted with a complimentary Hot Breakfast. After a busy day, visitors to this hotel can enjoy a dip in the pool or a workout at the on-site fitness center. Come experience the hospitality and professional service at the Best Western Greenspoint Inn & Suites in Houston, Texas.